HAMPTON, Va. - The Central Intercollegiate Athletic Association (CIAA) released its weekly softball honor roll today and freshman Hannah Willis (St. Leonard, Md.) was selected Defensive Player of the Week. Willis recorded 10 putouts and one assist in Bowie State's four games last week. BOWIE, Md. - The Bowie State men's women's tennis team enjoyed a pair of victories over Elizabeth City State University on a pleasant but breezy Tuesday afternoon. The Lady Bulldogs triumphed 9-0 and 9-0 over the Lady Vikings in Central Intercollegiate Athletic Association (CIAA) matches. Amber Peters, Dainese Smothers, Antonique Johnson, Channae Manning and Rahwa Habtemariam all rolled to easy (8-0) straight set victories in singles play. Bowie State’s Selena Slaughter won by default at No. 6 singles. Bowie State blanked Elizabeth City State 8-0 at No. 1 and No.2 doubles while Slaughter and Manning claimed a default victory at No. 3 doubles. The Lady Bulldogs will be idle for 10 days before returning to action Friday (April 10th), playing their final regular season road match at Goldey-Beacon College at 2 p.m. This week's East Coast Conference Player of the Week awards are listed below. 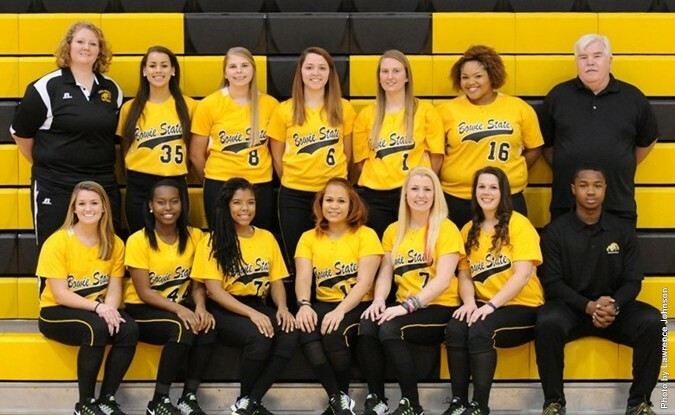 PETERSBURG, Va. – The Bowie State University softball team picked up CIAA Northern Division victories at Virginia State University on Saturday (3/28) afternoon by scores of 10-5 and 13-0. Freshman Emily Lewis (Aberdeen, Md.) paced the Lady Bulldogs with four hits and five RBI over the two games. Bowie State (7-11, 5-3 CIAA, 2-0 North) pounded out 28 total hits in the twin bill. Virginia State (4-15, 2-6 CIAA, 0-2 North) had six plays to recorded two hits each in the doubleheader. Jamilia Smith (Halifax, Va.) had the biggest hit, a three-run homer in game one for the Trojans. Bowie State wasted no time, jumping out to a 2-0 lead in the first inning of the first game. Senior Cassandra Clayborne (Damascus, Md.) started the game with a triple and scored on a sacrifice fly by junior Danielle Watt (St. Leonard, Md.). Freshman pitcher Nicoleen Ochoa (Madison, Ohio) reached on a Virginia State error followed by Caitlin O’Neill (Elkton, Md.) walk. Lewis stepped up and slapped a single, scoring Ochoa for a 3-0 advantage. The Trojans took their first and only lead of game one in the bottom of the 3rd inning following a 3-run homer by Smith, giving Virginia State a 3-2 advantage. The Lady Bulldogs pushed two more across the dish in the top of the 3rd inning to shift the advantage back over to the visitors at 4-3. However, Virginia State tied the game at 4-all in their half of the third. Bowie State’s Ochoa hit her first collegiate homer of the season, a two-run blast in the top half of the 4th inning. With two outs, Lewis doubled followed by another double, this time by freshman Hannah Lewis (St. Leonard, Md. ), scoring Lewis and created a small cushion at 7-4. Virginia State added one to the scoreboard in the bottom of the 5th inning via Janay Joseph (Eastern Shore, Va.) that scored Smith. The Lady Bulldogs added three insurance runs in the top of the 6th inning to seal the 10-5 victory. Three Virginia State 6th inning errors assisted in Bowie State’s scoring opportunities. Like the first game, the Lady Bulldogs struck first in the top of the 1st inning of game two. Clayborne led off with a double and scored on three straight wild pitches for the early 1-0 lead. Watt and Ochoa followed with back-to-back triples, forcing Virginia State pitcher Rebecca Elder out of the circle. By this point, it was clear Bowie State was on a mission and ended their share of the 1st inning with a 4-0 lead. O’Neill began the 3rd inning with a single followed by Lewis’ second homer of the afternoon and a 6-0 advantage. The Lady Bulldogs blew game two wide open in the top of the 4th inning, scoring six runs on six hits and put the final nail in the Trojans coffin in the top of the 5th inning to claim the 13-0 win. Bowie State rocked four different Virginia State pitchers, holding a 16-4 hit advantage in the final contest of the afternoon. Clayborne and Lewis led Bowie State in game two with three hits each and five different Lady Bulldogs recorded a pair of hits each. Bowie State returns to action on Sunday (March 29th) making a stop at conference foe Virginia Union University. First pitch of the doubleheader between the Lady Bulldogs and Lady Panthers is 12 noon. 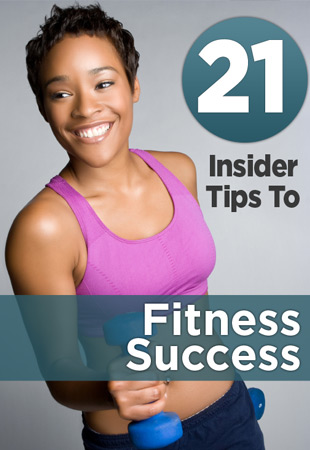 Can It Help You Survive? CHESAPEAKE, Va. – Bowie State University capped a dominant three-day run in the CIAA Bowling Championship with a conference title at AMF Western Branch Lanes on Sunday, March 22, 2015. Bowie State defeated defending champion Virginia State University 4-1 in the finals to finish unbeaten in four bracket play matches. Virginia State needed two wins for its second straight crown, but Bowie State erased any thoughts of the tournament heading to a second game. Led by Co-Most Valuable Bowlers Ambrianna Bankston and Shayla Lightfoot, Bowie State won the last three games in the championship match to earn its fifth CIAA title, including its third in six seasons. After Virginia State won game two 173-165 to even the match at 1-1, Bowie State captured the next three games 149-138, 183-165 and 147-134 for the victory. The game one score was 169-142 Bowie State. Head Coach Kenneth Scott of Bowie State says the score is not indicative of how tough the match was against Virginia State, which reached the final round for the fourth consecutive year. "When we play Virginia State, it is always a battle," Scott said. "We bring our A game and they bring their A game. It is a matter who executes." As it turned out, the Lady Bulldogs were the team which threw the most strikes and spares. "It was all about execution," Scott said. "The girls knew that if they hit their target and pick up spares, and execute the way they were supposed to, that everything would take care of itself." The championship match reflected how well the Lady Bulldogs bowled in the tournament. They were virtually unchallenged over the weekend. Bowie State was the only team to knock down more than 4,000 pins in preliminary team matches on Friday. When preliminary Baker match play concluded Saturday morning, the Lady Bulldogs earned the top seed in bracket play with a 219-total pin count lead over Virginia State. Bowie State breezed through its bracket play matches, needing only four matches to claim the conference championship. The Lady Bulldogs defeated No. 8 seed Virginia Union University 4-1 to advance to the winner's bracket where they beat No. 6 seed Shaw University 4-0 and No. 4 seed Fayetteville State University 4-1. The Lady Bulldogs were well rested while No. 2 seed Virginia State had to work its way to the finals through the elimination bracket after losing 4-0 to Fayetteville State in the winner's bracket. The championship round was the sixth match for Virginia State in bracket play. That Bowie State won the CIAA title was fitting. The Lady Bulldogs won most of the top league honors during the CIAA Bowling Awards Ceremony on Saturday including Bowler of the Year (Lightfoot), Rookie of the Year (Sierra Davis) and Coach of the Year (Scott). They also won the CIAA Bowling Highest Grade Point Average Award and received their trophy for winning the Northern Division after finishing the regular season with only one conference loss. Scott says the accolades are the result of the work his team has put in since the offseason. "At the beginning of the year, all the girls set up individual and team goals," Scott said. "They worked on them and stayed committed to them. They had outside instructors coaching them over the summer. When we didn't practice, they went to the lanes and practiced on their own. They were dedicated and wanted to make sure that the seniors went out as winners. "I didn't realize they were as special as they were until midseason," Scott added. "That's when they started to click and I could actually see where they were trying to go. One of the goals was to go undefeated in the regular season and they came up one game short on that, but they reached the rest of them." Scott was a little concerned about his team after the awards ceremony, but the Lady Bulldogs re-focused on the task at hand. "I was a little nervous that the awards would go to their heads and they would lose their focus and concentration," Scott said. "We gave them their 15 minutes of celebration and then we put the trophies away. I told them it was day one [of the tournament] and we were starting from scratch." The Lady Bulldogs picked up right where they left off in the regular season. "It was something we worked for since the beginning of the season," said Lightfoot, a senior. "We came into the tournament and we weren't losing anything. It is a great feeling to go out with a championship." Each Bowie State coach and team member received a trophy after winning the title. The team members are Lightfoot, Ambrianna Bankston, Keyandra Bankston, Makyra Bankston, Davis, Ashley Wade and Shannon Weaver. The assistant coaches are Andrew Campbell, Laverne Campbell and Denard Bankston. The All-CIAA Tournament team consists of Brittany Rowe of Johnson C. Smith, Davis of Bowie State, Nicole Sciortino of Saint Augustine's, Brooke Roberts of Elizabeth City State and Rebecca Clements of Virginia State. RALEIGH, N.C. – The Bowie State University softball team closed out their participation in the CIAA Round-Up with a victory over Saint Augustine’s University and setbacks versus Shaw University and Winston-Salem State University. Overall, the Lady Bulldogs record stands at 5-11 and 3-3 in league play. Freshman Nicoleen Ochoa (Madison, Ohio) paced the Lady Bulldogs with three hits and five runs on day two and four other Bowie State players had two hits each. Ochoa also earned Bowie State’s lone victory in the circle on Sunday (3/22). Freshman Jacqueline Pickering (Bowie, Md.) led Bowie State on Sunday with 3 RBI, a triple, a homer and two stolen bases. Bowie State overcame a 9-4, 4th inning deficit to defeat Saint Augustine’s 11-10 in extra (8) innings. Ochoa and Pickering accounted for a pair of hits each while five other Lady Bulldog players tallied one hit apiece. The Saint Augustine’s trio of Meranda Zanni, Jo’Landa White and Marley Parker recorded three hits each for the Lady Falcons. In the second game of the day, Shaw held a 3-0 advantage after three innings and held off Bowie State’s late inning charge to claim a 6-4 victory. The Lady Bulldogs tallied six hits in the loss with six different BSU players getting one hit each. Shaw was led by Tiffany Brooks and Shanice Anderson with two hits each. In total, Shaw had eight hits and Krystal Laflora earned the victory in the circle. The Lady Bulldogs faced the defending CIAA Champions of Winston-Salem State in the final game of the weekend and were shutout 8-0 in five innings. Bowie State managed just one hit in the contest and that came off the bat of junior Deanna Matlock (Pomona, Calif.). Samantha Gibbs led Winston-Salem’s batters with three hits and Mercedes Hargett recorded two RBI for the Lady Rams. Hargett pitched all five innings, striking out seven. Bowie State will enjoy spring break before returning to action on Saturday (3/28) at Virginia State. The Lady Bulldogs follow that with a Sunday (3/29) clash at Virginia Union. E - ZANNI,M. ; NOLAND,D. ; PETERSEN,T. ; CLAYBORNE,C. ; O'NEIL,C. ; MATLOCK,D. ; WILLIS,H.. LOB - Lady Falcons 8; Bowie State 8. 2B - ZANNI,M. ; WALTERS,T. ; LEWIS,E.. 3B - RIOS,J. ; PICKERING,J.. HR - PICKERING,J.. HBP - CLAYBORNE,C. ; O'NEIL,C.. SH - ZANNI,M. ; BETHKE,H.. SB - ZANNI,M. ; NOLAND,D. ; OCHOA,N. 2; BETHKE,H.. CS - O'NEIL,C..
E - MATLOCK,D. ; BROOKS, Tiff; BEASE, Shai 2; BEASE, Brian. DP - Lady Bears 1. LOB - Bowie State 9; Lady Bears 5. SF - LEWIS,E. ; MATLOCK,D. ; BEASE, Shai. SB - PICKERING,J. ; BURRIS, Lada; BEASE, Brian 2. CS - CLAYBORNE,C..
O'NEIL,C. faced 3 batters in the 3rd. LOB - Bowie State 1; Lady Rams 7. 2B - HARGETT,M; GIBBS,S; JOHNSON,J. HR - HARGETT,M. HBP - JOHNSON,J. SH - MARINO,A. SB - ZIMMER,K. Win - HARGETT,M. Loss - O'NEIL,C.. Save - None. HBP - by O'NEIL,C. (JOHNSON,J). Rice milk, soy milk, almond milk – safe or not?